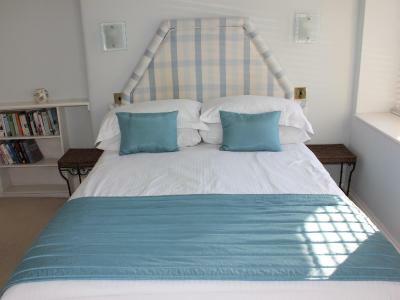 Lock in a great price for Trafalgar House – rated 9.5 by recent guests! 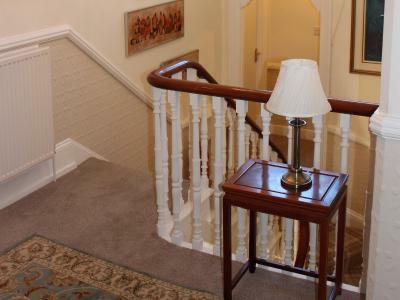 Trafalgar House is a lovely Victorian property full of character. On arrival we received a warm welcome from owner Neil and his tips on where to eat and visit locally were really helpful. The room was comfy and the breakfast is first class with homemade jams etc. 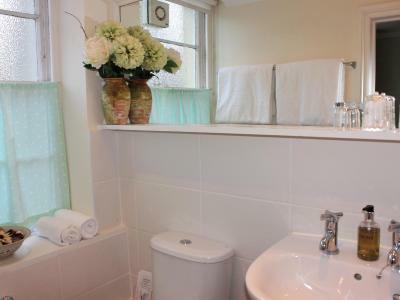 Top quality b&b. Very pleasant host. Good food. The room was comfortable with everything we needed. The owner was welcoming, informative and very helpful. The food was excellent and the service very good with plenty of choice. We would be happy to stay there again if we are visiting the area. 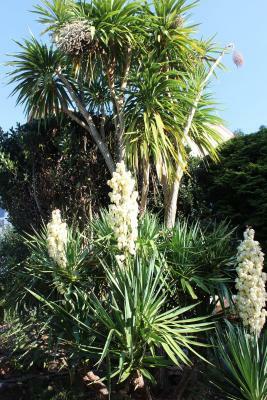 A seating area was available in the garden which was attractive and could be viewed from the breakfast room. Parking facilities were good and it was only a short walk to the seafront and town. The atmosphere was friendly and relaxing and we would not hesitate to go there again. The facilities were excellent ++++. All areas were spotless - not just clean, but spotless. Excellent breakfast. Excellent room. 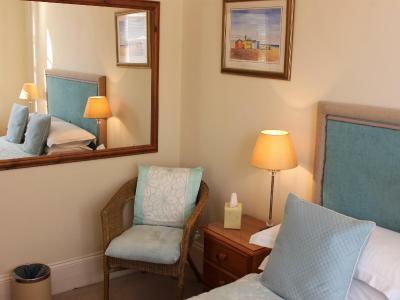 Trafalgar house is located in a very quiet and central location for access to the town centre as well as the seaside. Having relatives in the area we have stayed in several different hotels/guesthouses but this is the best we have encountered - even better than one costing more than twice as much. 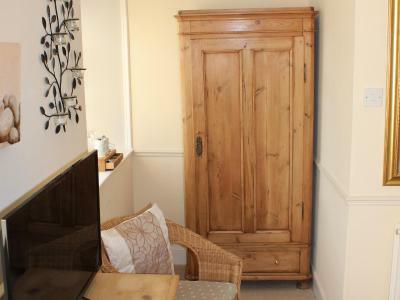 This is now out first choice for accommodation while visiting Torquay. 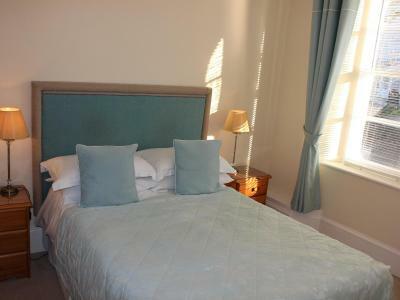 I'd base by travel dates around the availability of a room at Trafalgar House. 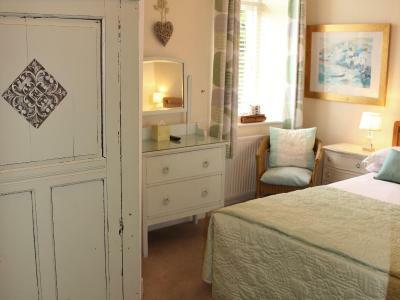 Trafalgar House This rating is a reflection of how the property compares to the industry standard when it comes to price, facilities and services available. It's based on a self-evaluation by the property. Use this rating to help choose your stay! 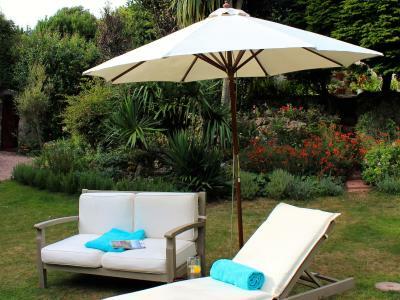 One of our top picks in Torquay.A beautiful environment, Trafalgar House is an elegant Victorian villa with sub-tropical gardens and a free car park. 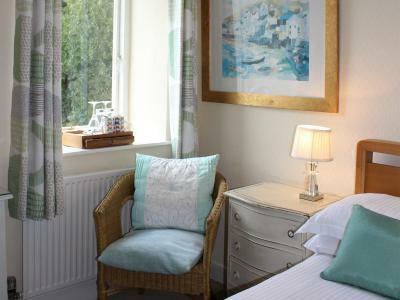 It has a quiet setting 2,300 feet from the sea. 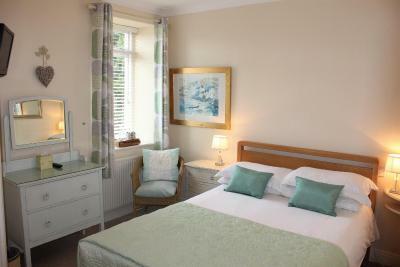 Trafalgar House has a chic yet comfortable style. Free Wi-Fi internet access is available throughout. 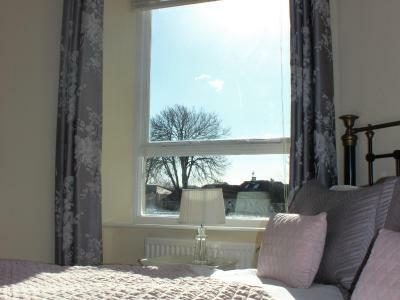 All bedrooms are en suite and have quality furnishings and a variety of refreshments. 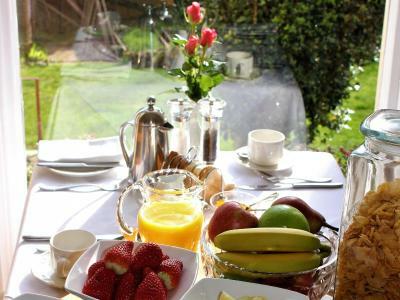 Excellent English and continental breakfasts are freshly prepared with the best local produce where possible. You can choose from fresh fruit salads, yogurts and cereals. 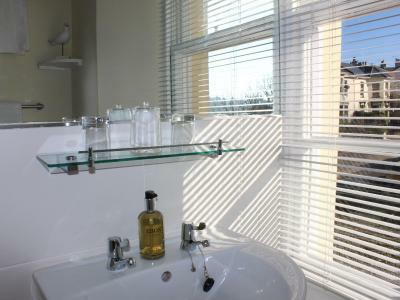 Trafalgar House is 2,300 feet from Torre Train Station and well located for exploring South Devon. A bus stop is just 1,300 feet away. Children over 8 years old are welcome. Bookings for stag/hen parties are not accepted. 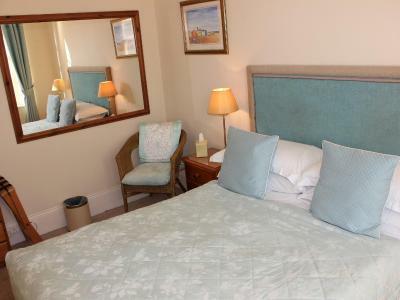 This is our guests' favorite part of Torquay, according to independent reviews. 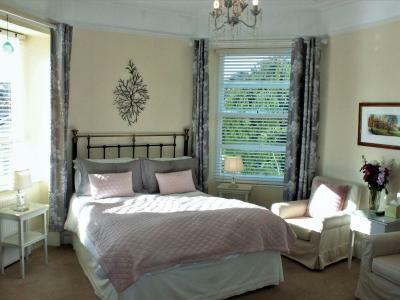 This property is also rated for the best value in Torquay! Guests are getting more for their money when compared to other properties in this city. 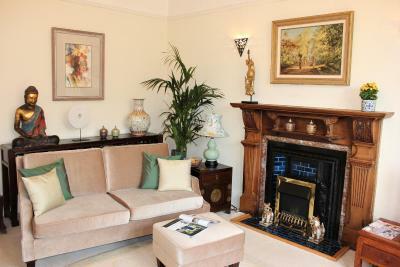 뀐 Located in the top-rated area in Torquay, this property has an excellent location score of 9.1! 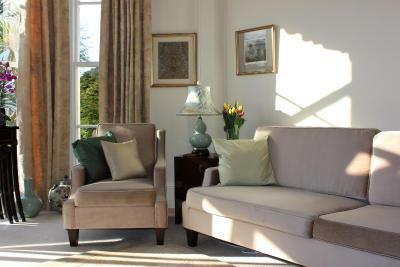 When would you like to stay at Trafalgar House? 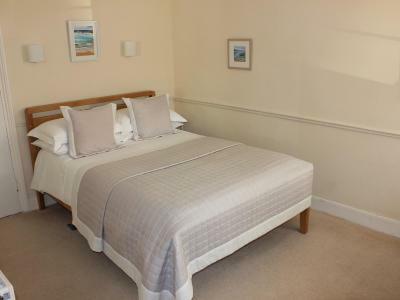 Recently refurbished, these standard rooms are all light and furnished. 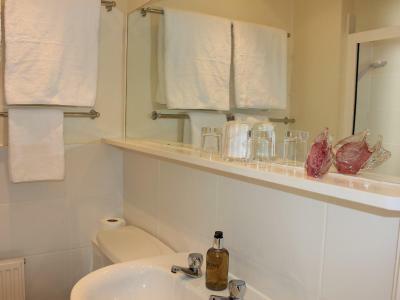 The room provides bottled mineral water and a selection of beverages. 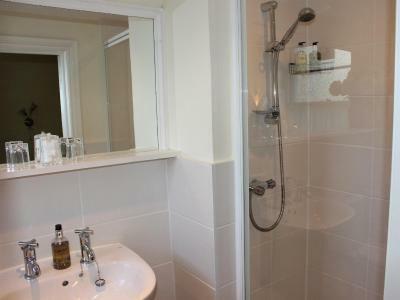 All rooms have private shower rooms. 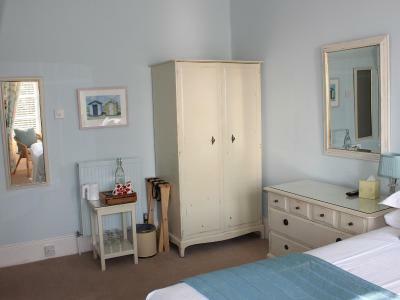 Ground floor room with individual decor. Flat-screen digital TV in room. There is a wide selection of beverages, refreshed each day. 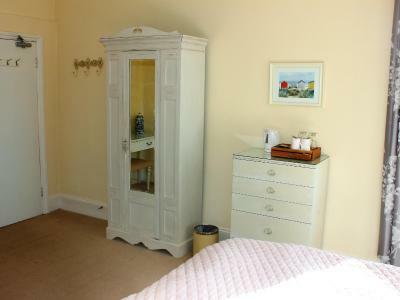 Large, comfortable room with new private bathroom. 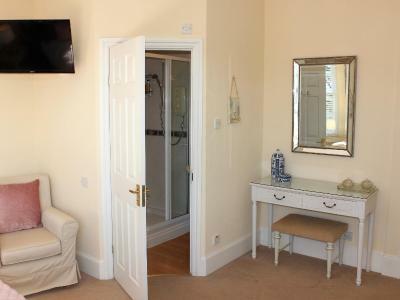 Excellent facilities, plus LCD TV. 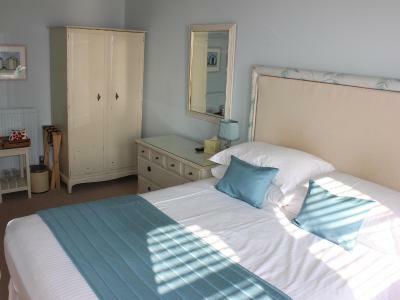 A spacious, comfortable room with a king-size bed, private bathroom, free Wi-Fi, LCD TV and tea/coffee making facilities. 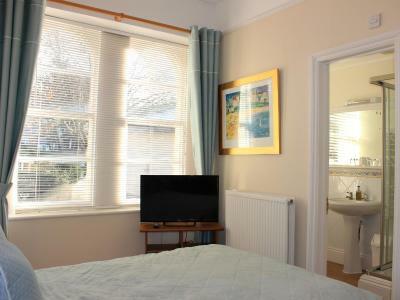 Large, comfortable room with new private bathroom, king bed and an LCD TV. Request double/twin when booking. House Rules Trafalgar House takes special requests – add in the next step! Children 8 and older are allowed at this bed and breakfast. Trafalgar House accepts these cards and reserves the right to temporarily hold an amount prior to arrival. 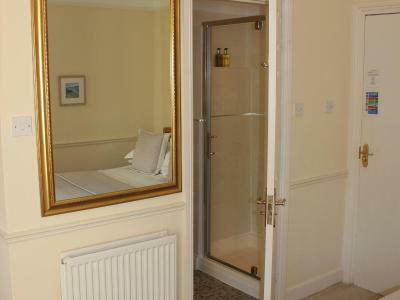 Please note that this property cannot accommodate hen and stag parties or children under 8. There was nothing we did not like. 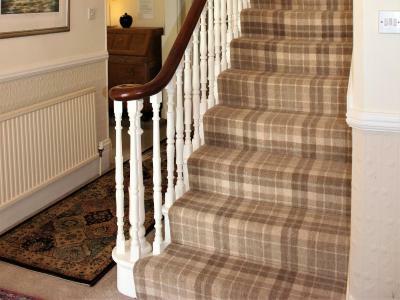 As the owner had only been there a short time he had a full programme of refurbishment planned to re-decorate and refurbish. No fans available for ladies of a certain age! Everything was perfect. Great breakfast in lovely surroundings. Always a feeling of coming home at the end of each day. 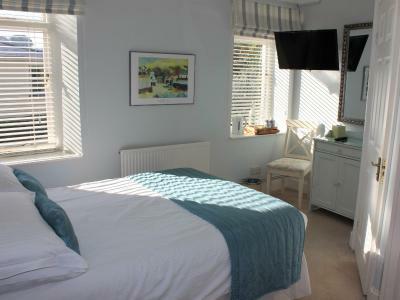 A great Bed and breakfast with good value for money. Breakfast was great. Our host were exceptional. Our room was clean and fresh during our 3 day stay. Very friendly hosts. Breakfast was excellent. 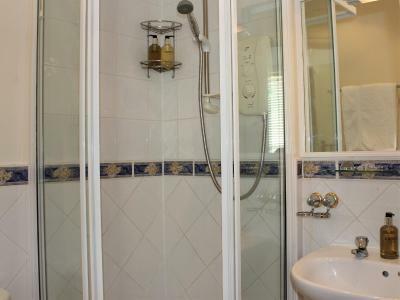 Quiet location with high standards of cleanliness and maintenance inside and out. Our host Neil was very friendly and helpful and made us feel welcomed. He very considerately turned on the heating when there was a cold snap one night. 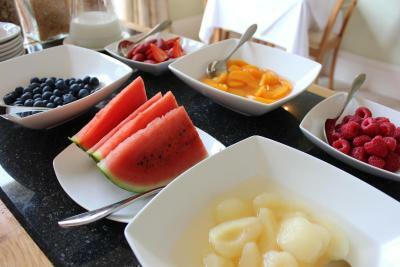 The breakfasts were outstanding -the top class fruit salad and full English.